This is a tour reserved for people who want an exclusive service. We offer a private boat tour on an exclusive luxury yacht with all the comforts, including breakfast served on board on arrival, towels, crew, and more. The tour starts from your chosen destination (Capri, Naples and Sorrento). We will embark on a private yacht around the island of Capri. We will visit the Blue Grotto (depending on weather conditions). After exploring the Blue Grotto, lunch will be served at the beautiful restaurant, Il Riccio. 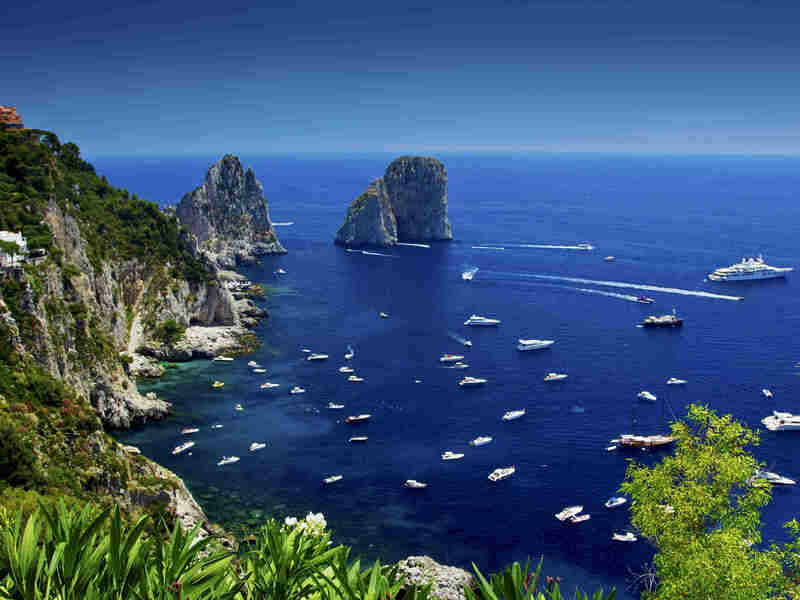 During lunch you will fall in love with the beautiful scenery of the island of Capri. After lunch, a private taxi will take you directly to the center of Capri, where you will have the opportunity to visit the gardens of Augustus. You will have free time to admire the village, before being taken back to the pier by private taxi. From the pier, with a private yacht you will return to your destination between relaxation and champagne.